The cultural events in Bansko are lined up one after the other and promise guests of the resort an unforgettable summer. Along with the music festivals that are to resound in the resort town all the way up until fall, there are other surprises being prepared for visitors. Basco municipality, Nikola Vaptzarov community center at the Museum complex in Bansko are organizing exhibitions of authentic Bansko crafts. Traditional Bulgarian crafts will be exhibited every Friday and Saturday until August 30 at the Visitors' Center, these being - wood carving, weaving, wool sock knitting, gobelin (tapestry) weaving, souvenir ball knitting and crocheting. 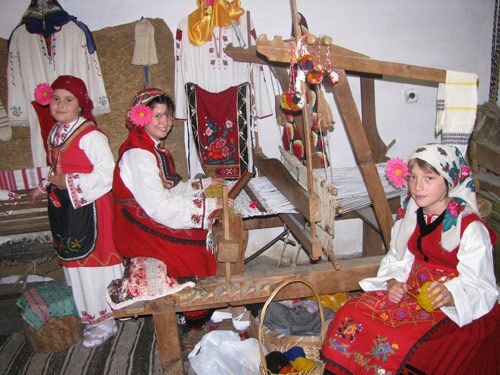 The Velyanova House will also be participating in the exhibitions, with weaving loom demonstrations organized in it. All of this will be accompanied by a rich folklore program and daily tours to the archaeological complex St. Nicholas and the late antiquity castle Sitan Kale. The youngest guests of the resort have also not been forgotten; they will be able to take part in info tours and interactive games organized by the Museum complex.